Every now and then I go metal detecting in my yard. 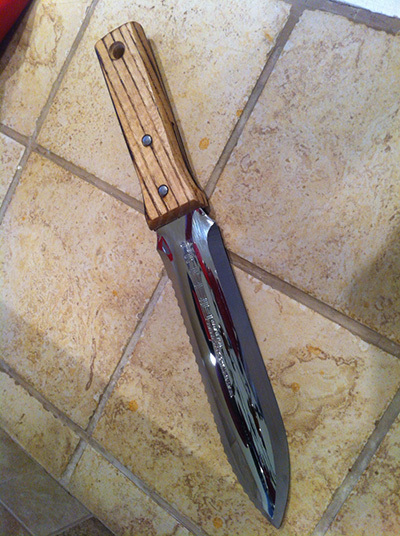 The ground is hard so I needed something I could use to cut the dirt and clay without tearing up the grass. 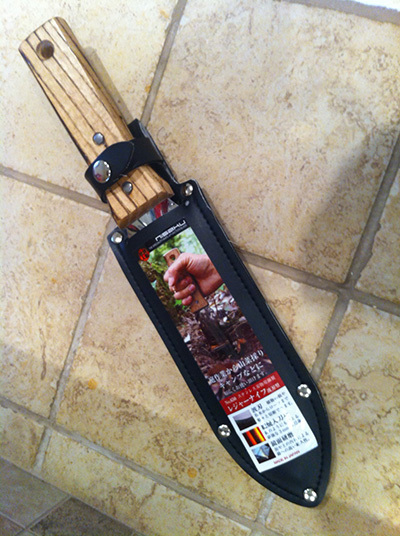 After searching for a suitable tool on Amazon.com I decided to order a Japanese Hori Hori Garden Landscaping Digging Tool With Stainless Steel Blade & Sheath for just under $27. It works well and is indeed very sharp. So far, I’ve been pleased and have managed to dig up some items without killing the grass above.